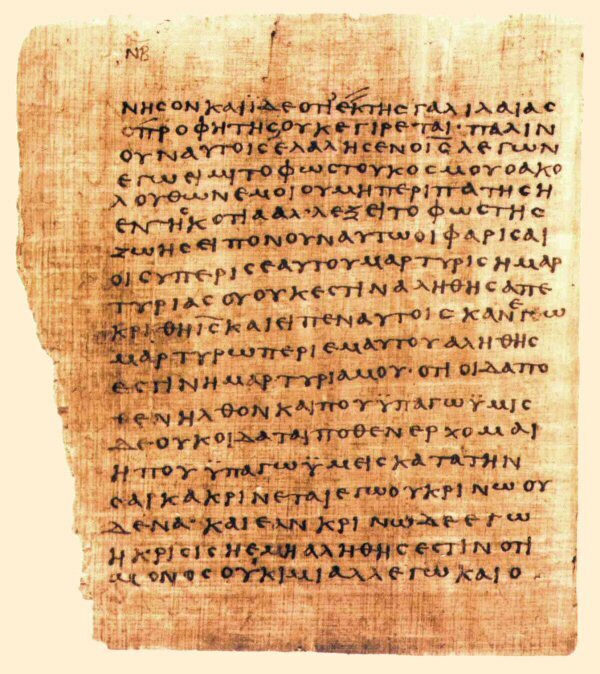 This is the earliest fragment from the New Testament. It is named P52, and dates back to 117-138 AD. It contains parts of John 18:31-33 and John 18:37-38 on the back, which talk about Jesus trial. P87 is dated by at around 125AD. It contains Philemon 13-15 (of Paul saying that he is sending back the former slave Onesimus as a brother) as well as the epilogue (v24-25). This papyrus is named P77 and contains Matthew 23:30-39. This manuscript, known as P45, contains sections of all four gospels and also Acts. including Matthew 20-21 and 25-26; Mark 4-9 and 11-12; Luke 6-7 and 9-14; John 4-5 and 10-11; and Acts 4-17. You might be wondering why a papyrus is named ‘Chester Beatty’. Apparently these were purchased from a dealer in Egypt by Chester Beatty in the 1930’s. 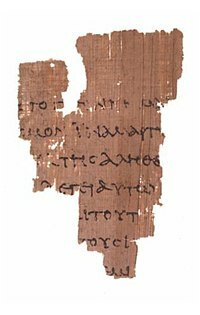 There’s three of these papyri: P45, P46 (below) and P47 (containing Revelations 9-17) . This manuscript, P46, contains most Paul’s letters: the majority of Romans; Hebrews; 1 Corinthians, 2 Corinthians, Ephesians, Galatians, Philippians, Colossians; and two chapters of 1 Thessalonians. 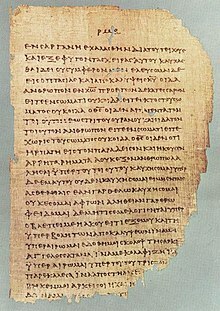 Although usually dated around 150-200 AD, it is written in a handwriting which has only ever been found in first century manuscripts, and so some people (eg. Young Kyu Kim) suggest it could be much earlier. These papyri apparently go together, and contain portions of Matthew and Luke. Their name, ‘Magdalen’ is from an Oxford college that they originally lived, even though they were discovered in Luxor, Egypt. Apparently P4 was found stuffed in the binding of a codex of Philo. P66 contains a nearly complete gospel of John. It is the oldest of the Bodmer papyri, a set of 22 papyri which were discovered in Egypt in 1952. Buying New Testament papyri seems a good way to become famous, because they are named after Martin Bodmer who originally purchased them. This early third century manuscript contains almost all of Luke, and also of John. You can find almost 100 images of it online. P1, fittingly contains Matthew 1. 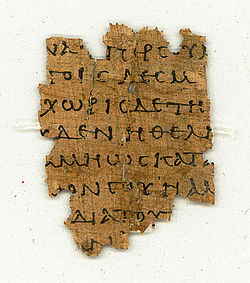 This is one of many parchments which have been found in the rubbish dumps of Oxyrhychus, Egypt. Their discovery began in 1898, uncovering not only early Christian text, but all sorts of ancient literature. Now there are over 50 New Testament manuscripts from this site. 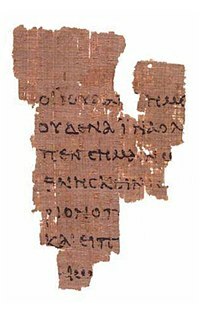 And last but not least, P104, was another Oxyrhynchus piece of rubbish, which is now one of the more valuable pieces of rubbish in the world, because contains part of Jesus parable in Matthew 21. Excellent entry. If people would take more notice of this, they would stop proclaiming the Textus Receptus as the one and only text to read!!! Thanks for your “top 10”. I never knew of the rubbish dumps of Oxyrhychus..Maybe we’ll find some more. « Jesus is God, man.